Toronto-based Brill Communications has announced to us that they have been named the public relations agency of record for CONAIR Consumer Products ULC throughout Canada for the consumer hair care and personal products manufacturer. As part of the new assignment, Brill will be tasked with organizing media and consumer events and activations to launch several new landmark products. The first series of unique projects will be unveiled in July 2014 with further initiatives to follow into the Fall. 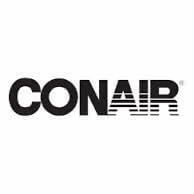 Brill Communications will work closely with CONAIR Consumer Products ULC to execute targeted buzz-worthy events that represent the company’s rich history and exciting new direction as a fashion-forward yet accessible consumer personal products brand.